Named as one of the New Seven Wonders of the World, Chichen Itza is probably the most well known Mayan archeological site in Mexico and is visited by 1.4 million people annually. The Pyramid of Kulkulcan, also known as El Castillo, is the most iconic structure at Chichen Itza. During the equinox, the shadow of a snake descends the pyramid, highlighting the archeological and astrological prowess of the Maya. The site has been well restored and visitors can explore the ball court, the skull platform, the cenote and many other impressive structures during their time there. It is worth exploring the site with a guide to really understand the history, traditions and rituals of the Maya and to help the site come alive. The Toltec people also inhabited Chichen Itza, so if you have a keen eye for Mesoamerican archeology you may be able to spot some of the structures influenced by Toltec architecture. 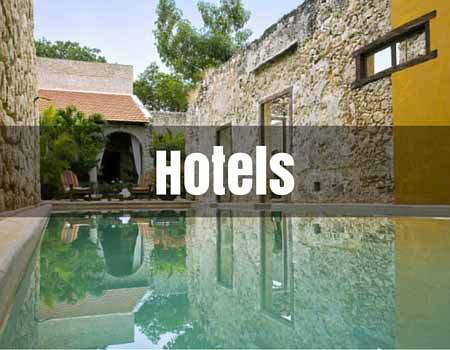 There are a number of hotels very nearby to Chichen Itza, some of which boast rooms that overlook the site. Options range from big hotels with multiple rooms for large tour groups, to luxury secluded bungalows and ecologically conscious lodgings with Maya staff and strong Maya traditions. Most of the hotels are very reasonably priced considering their location right next to one of Mexico’s most important tourist sights. Some of the hotels have their own private entrance to the site, which can help to avoid the long lines at the main entrance. Located between Merida and Cancun, Chichen Itza can be reached by the highway or by the more scenic ‘libre,’ or free road, which takes your through local villages all the way to the site. There is abundant parking upon arrival and it is very reasonably priced (around 22 pesos). First class buses also arrive to Chichen Itza daily from Cancun (3 hours), Playa del Carmen (3 hours 20 minutes) and Tulum (2 hours 20 minutes) and over the weekends from Merida (1.5 hours). The buses arrive at the west entrance to the site where taxis also await should you want to get to a hotel by the east entrance. We offer multiple options for travelers wanting private transportation including simple private transfers and all day tours departing throughout the Rivera Maya. 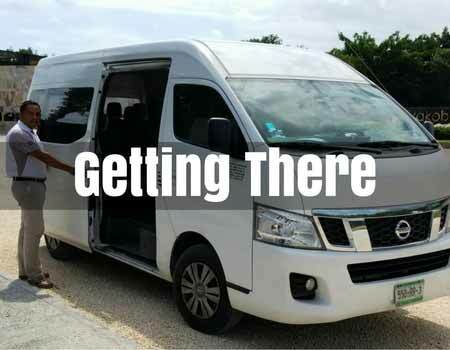 If you are looking for an affordable private Chichen Itza transfer service our vehicles and drivers will take care of you and your group. Once inside the archeological zone the only way to get around is on foot. Be sure to keep hydrated and to look for shade where possible. In more recent years, trees have been planted to create more shaded areas for visitors. If you are travelling on from Chichen Itza to your next destination there is a baggage storage office at the entrance to the site. 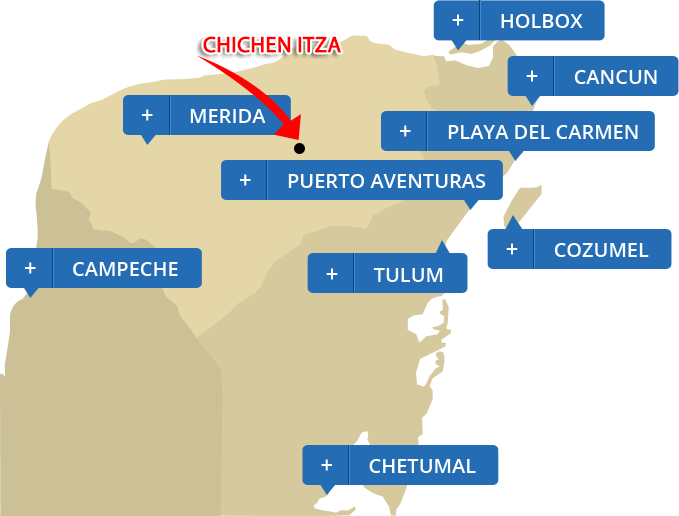 While there are no restaurants inside Chichen Itza, there is one at the entrance and a few within nearby hotels. 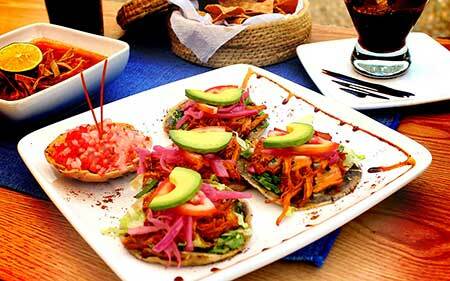 Much of the food served is regional with many Mayan dishes to compliment the location. Some restaurants also serve large buffets with Mexican food and international options. The restaurants range in price and quality but decision about where to eat can also depend on how far you are prepared to walk. Oxtun the restaurant at the entrance to Chichen Itza is surprisingly good and very conveniently located. 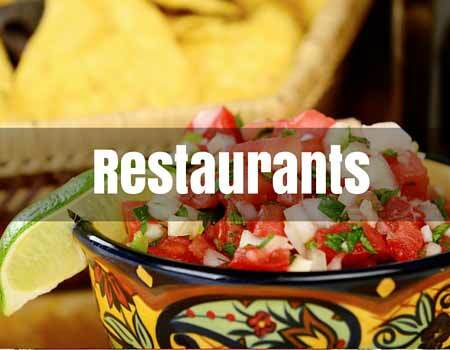 It has a selection of Mexican and international options and is open for breakfast, lunch and early dinners. Chichen Itza is the most visited and by far the most famous of all Mayan archeology sites. Tour buses pull into Chichen Itza every day of the year bringing in loads of tourists. It really is a must-see kind of thing. 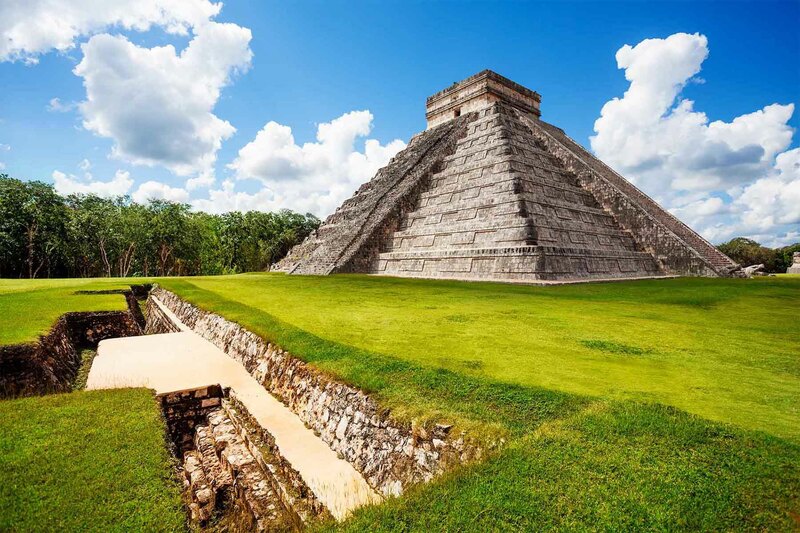 There are numerous web sites on the internet with information about Chichen Itza, the temples/pyramids, the great ballcourt, the observatory, cenotes and so much more. We have limited the information that we provide in this web site for Chichen Itza to travel information. In our Mayan Ruins section we provide information on maps, guides and tips. Piste is a small town located 2 km away from Chichen Itza ruins. There are hotels and Mexican restaurants here as well as stores and a number of craft market vendors.